Quintrex Yellowfin 7600 Hardtop - Quintrex's Pride of the fleet. Quintrex's toughest new addition to the world's ocean is here. 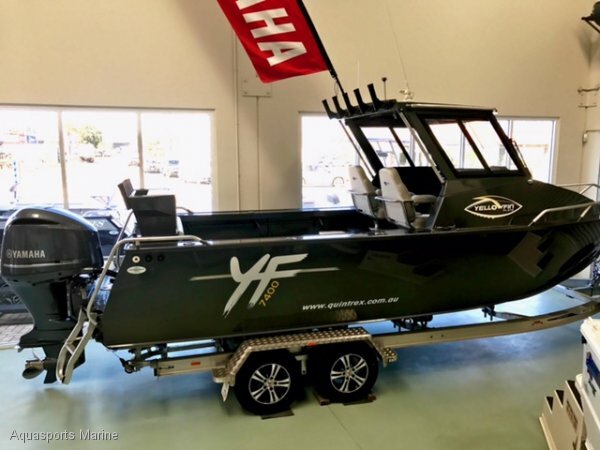 The Yellowfin 7600 Hard Top is the ultimate offshore plate fishing boat packed with the features that make a difference. With a welded rib structure and self-draining tread plate floor this Yellowfin is built to handle the serious offshore fisherman. Amazing performance and stable at rest. A serious offshore fishing machine! -	Stamp Duty Paid "Driveaway Price"
NB: Photos for Illustration purposes and may include options not included in standard model.